Wow, that WAS happy mail! Soooo pretty. 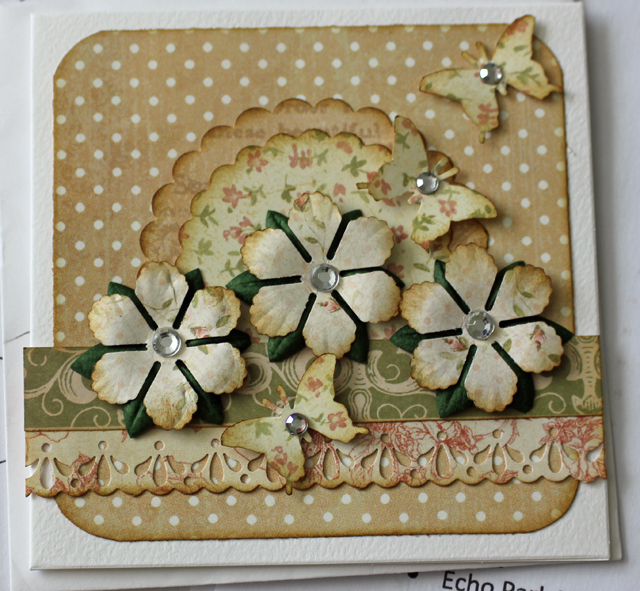 I love that card, the colors and embellishments are gorgeous! Thanks for visiting my blog and I can't wait to see some of those 500 photos you took! AND your layouts. Do you have an album in mind already for your trip? I love making mini-albums, and often give them to friends who do not scrap. They are always amazed at how beautiful the photos look in an album like that. Your mini-album is sweet. Hope you enjoy working with it. Lovely Happy Mail Melissa...I had my 'pass the Book' package from Helena,with some lovely 'added extras' in it!! Wow, such a pretty card and packet of deliciousness ... Here's to Happy Mail and the lovely things you will make with it! 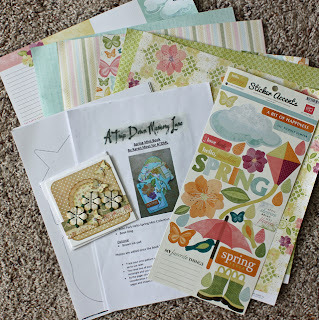 Its always fun to get things in the mail but more fun when it's crafting goodies! 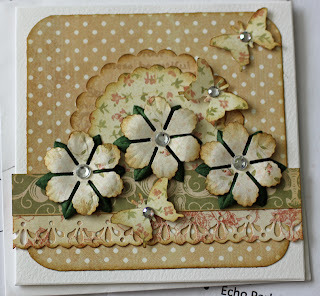 Beautiful card too! I received a fantastic ATC today from an artist in the Phillipines and a lovely little package of goodies from Beverly, too.